In the past two months, I’ve seen as many articles by gay men who are trying to explain why all gay men are seemingly obsessed with their physical appearance, specifically their physique. The first article I saw was back in mid-July from the internet site Gawker, entitled, The real reason gay men don’t get fat. The most recent article was written this week for a blog called Hommemaker. Orlando Soria writes Why gay men hate their bodies. Both articles make the unremarkable announcement that gay men are (wait for it), into physically fit bodies. And not only are they into physically fit bodies they are, in fact… (drumroll) concerned with their own physical fitness. Shocking, I know. The main problem with posts like these, from my perspective, is less on the content and more on the stereotype and over simplified statement it makes about the gay community as a whole. Gentrification is sometimes thought of as a third-rail topic – touch it you die. Gentrification has become so controversial that the mere mention of it can elicit strong and passionate debate. Proponents of gentrification say it improves neighborhoods: by improving the physical environment of a neighborhood, gentrification also improves the quality of life for residents, new and old. Critics, however, see gentrification as a tool by wealthy developers and urban professionals to displace an undesirable bloc of the population – usually minorities. But in all the kerfuffle of debate, many are unwilling to look at the real causes of the problems they see. Studies are showing that gentrification doesn’t actually do all that critics have long accused it of. Additionally, critics of gentrification often are calling for it, just leaving out the name. Every election from 2006 to 2010 has shown Latino voters increasingly moving towards the Democratic Party. In the recent general election in November, 60% of Latinos voted Democrat. This is especially true in California and in no small amount helping the Democratic Party sweep all major state offices in last year’s general election. As the Republican Party faces proof of life questions in the Golden State, is it even possible that the GOP can come back and win support from one of the largest and most loyal Democratic voting blocs? Probably the last time the GOP probably had any chance of gaining support from the Latino voting bloc was with Ronald Reagan. The former California Governor proved decently popular with Latino voters, granting more than 3 million undocumented immigrants in the United States amnesty in 1986. But with an increasingly hardline rhetoric from the national GOP, Latinos have been leaving the Republican Party en mass; turned off by their anti-immigrant stance on subjects like Immigration Reform and their defeat of the DREAM Act in the Senate back in December. As a an eager young politico, I followed West Hollywood’s recent city council election last month with great interest. However, as my previous post may have suggested, I was a little turned off by some of the rhetoric coming from the opposing candidates. I thought the rhetoric implied that the LGBT community in West Hollywood was a monolithic group all moving the same direction with the same tastes and preferences. 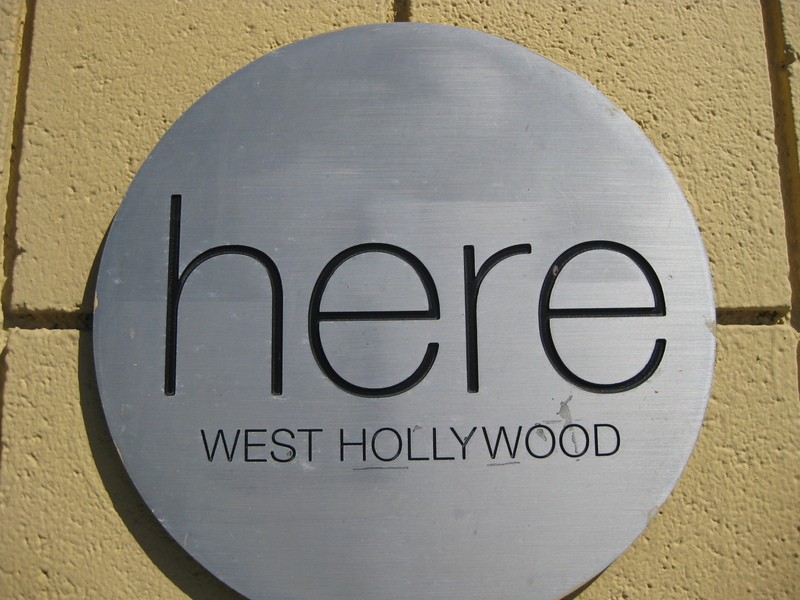 As it so happened, my final report in a physical planning class I am taking at UCLA offered me an opportunity to explore a question I have had since moving to West Hollywood in August of 2010. I could sit and argue that there is another group, another community in West Hollywood that was being ignored in this grandiose messaging but I could not prove it. My final report for my class was on precisely that. I sought out to prove that there are, in fact, two distinct communities within West Hollywood as evidenced by the physical environment. I have pasted a clip from my introduction below. Please feel free to download my report (15mb). Critiques and counter-arguments are welcomed. Is America losing its gay neighborhoods by out-pricing young gays or have gay men and women simply changed their tastes and preferences? Every once in a while I read an article about how traditionally “gay” neighborhoods have been becoming “less gay” or, to use some creative journalists phrase, “the graying of gay neighborhoods”. 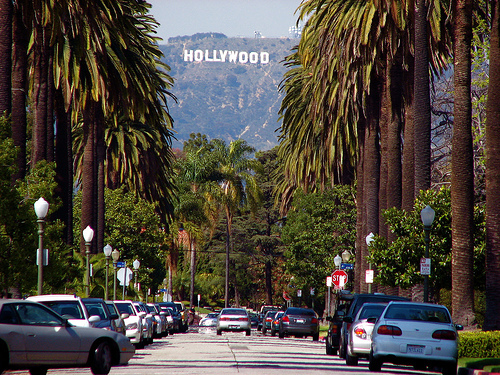 One that has come up more often than not has been the City of West Hollywood; a 25 year old self governing city West of Downtown Los Angeles that has served as Southern California’s gay mecca. (Note: I am a resident of the City of West Hollywood). Is this true? Are gay meccas becoming less gay as property values rise and straight families enter with their minivans and lattes? Many in West Hollywood would probably say yes. But I am not entirely sure. Again, is this really the case? Are gay neighborhoods really becoming less gay or, perhaps, are they merely reflecting the current state of the gay community in American society? Hello all! I appologize again for not writing anything new. Over the weekend I moved out of the Bay Area and have now set up shop in Los Angeles as I attend graduate school at UCLA! I will try to come back with more interesting posts, including a follow up on the Melanie Shelby-Equality California relationship. Throughout much of this series of posts has been a common theme that i would hope is fairly obvious. That is, the struggle between myself as a third-generation Mexican finding comfort and brotherhood amongst other generation of Mexicans and Latinos in general. Because of how i grew up and the socio-economic status of my family, i never truly felt accepted by my fellow Latinos and, therefore, have never truly felt comfortable in situations when i am immersed in that culture. This was never a question of whether one view is objectively correct over the other; whether or not i represent the better or worse half of American society mixing with Latino culture. If anything, i would argue that i am far from the ideal. Generally speaking, i am a Mexican who is, by and large, not that Mexican. I don’t speak Spanish and don’t really engage in any of the traditional customs of Mexican culture. I have a decent, though not great, understanding of Mexican history but also love the history and exploration of Mexican cuisine. So who am I? Is it somehow appropriate that when I’m with a group of more “traditional” Mexicans that when i say “i’m third generation”, they give a collective “oh” as if it is somehow self-explanatory? Where are we to go from here?